Portfolio Design Website Template is a free flat psd UI kit.Download PSD WEBSITE TEMPLATES. I am glad to share with you today a ui kit PSD free download. Portfolio Design Website Template is a consistent retina-ready for the best astronaut designers and developers. This PSD WEBSITE TEMPLATES perfect for black abd wite, blog, design, freebie, grid, portfolio, psd, typography. 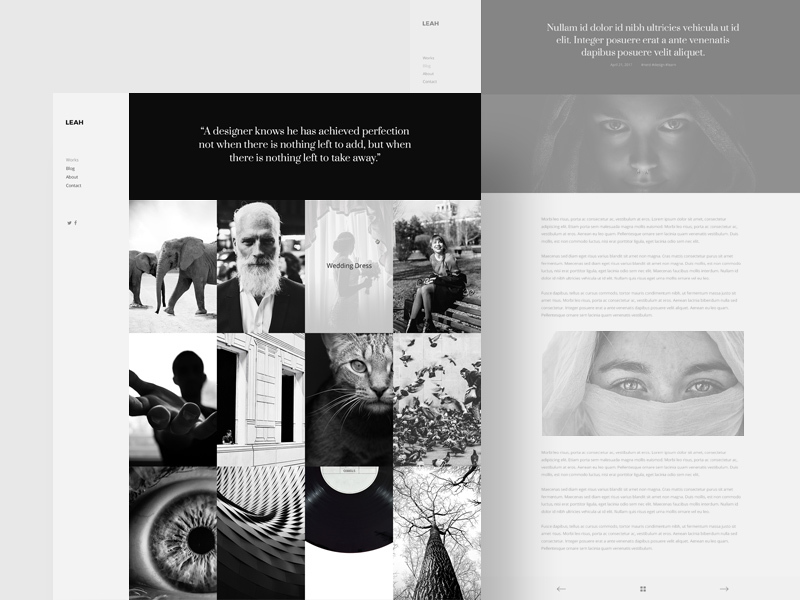 An elegant and free portfolio website design made in black and white. It’s great for photographers, historians, designers etc. This minimalistic template was designed by Samir Alley.